Last November, Sega announced that it had taken over the game license for the Marvel Comics hero Iron Man from Activision. Today, the Japan-based company announced it has acquired three more game licenses from the venerable comic book publisher turned media powerhouse. Foremost among the new acquisitions is The Incredible Hulk, who is currently appearing in the role-playing game Marvel: Ultimate Alliance. 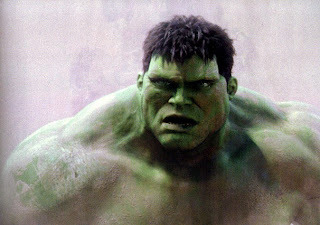 Previously, Vivendi Games held the game rights to the brawny superhero, releasing 2005's critically acclaimed The Incredible Hulk: Ultimate Destruction (PS2, Xbox, GameCube) and 2003's less praised The Hulk (PC, PS2, Xbox, GameCube). Under the new deal, Sega will also be developing games based on the forthcoming movie The Incredible Hulk, which stars Edward Norton as the Hulk's less angry alter ego, Bruce Banner. The game will be released alongside the film next summer. Though he may have died in comic books, Captain America will live on in game form. Sega is planning a game based on the forthcoming Captain America film, which is still in development. The last game that centered on the shield-wielding hero was Captain America and the Avengers (Game Boy, 1994), although he currently also appears in Marvel: Ultimate Alliance. Today's deal is a "multi-year global licensing agreement" that gives Sega exclusive rights to make Thor, Hulk, and Captain America games for consoles, handhelds, and the PC. In a statement, Simon Jeffery, Sega of America's president and COO, said, "As Sega continues to create games that are built from the ground up to appeal to Western audiences it makes perfect sense to work with a powerhouse like Marvel."